At Aveda we aim to treat our environment with respect and care. This philosophy is manifested in our products but also in the way we treat our guests. We want to play a leading role in respectfully treating nature and its resources – not only in the world of cosmetics, but holistically. Aveda Hair Care products contain naturally derived cleansing and care substances, such as robust and strong resins for a styling that is not only individual and beautiful, but also natural. Nature creates unique scents as plants are the chemists of nature. 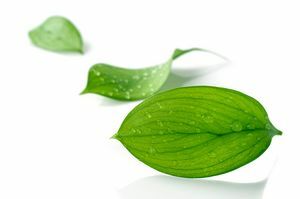 The 100% natural Pure Fume™ fragrances come from the hearts of the plants – for health and wellbeing. The power is in the roots, the leaves, and the blossom of the plant. Nature lives in Aveda cleansing and moisturizing creams. Scientific tests of the Aveda skin care products are proof that nature really is an effective beautifier. Color pigments, derived from Brazilian nut seeds, cinnamon from Madagascar and antioxidants from ripe berries, are just some of the pure natural ingredients used in Aveda Make-Up products for face, eyes and lips.